Junior Carlee Schaeffer gets an out from a throw by senior Delaney Dicristofaro during a first and third base situation. 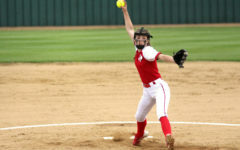 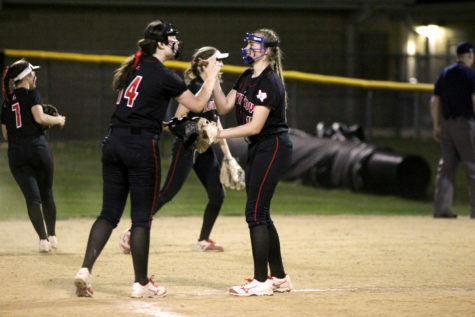 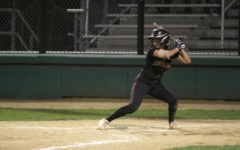 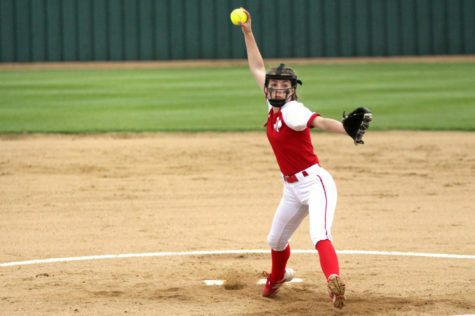 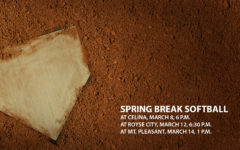 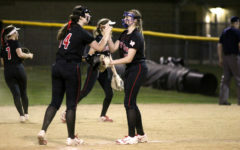 The softball team (4-13-1 overall, 1-0 district) will be looking for another district win at home against the Sherman Bearcats (6-13 overall) tonight at 7 p.m.
As the team continues its string of three consecutive home games, head coach Brittany Lee suggested that her team has a strong opportunity to make a run. 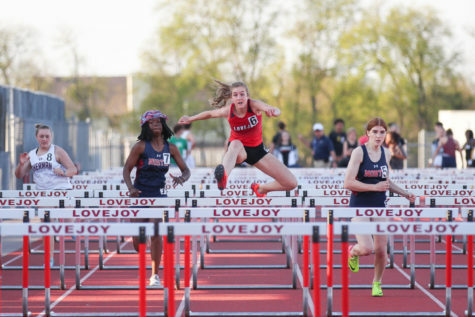 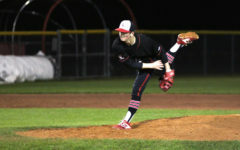 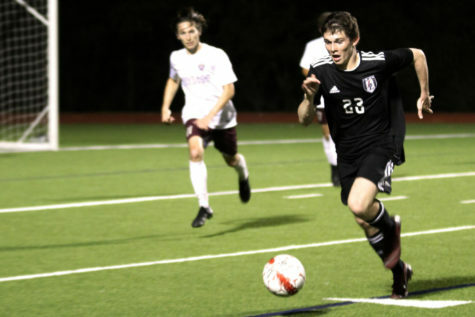 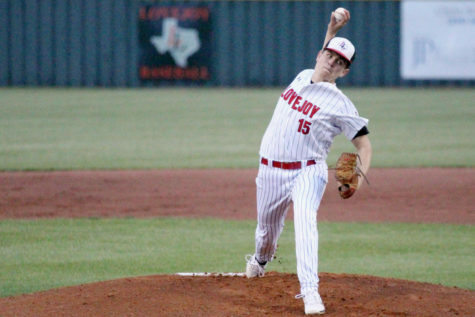 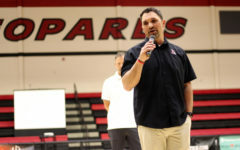 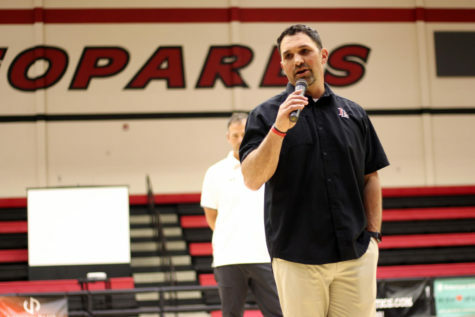 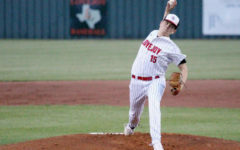 The Leopards began district play with a decisive 10-0 shutout against Wylie East (0-8 overall) on March 20, ending their winless drought that had persisted over the past 12 games. 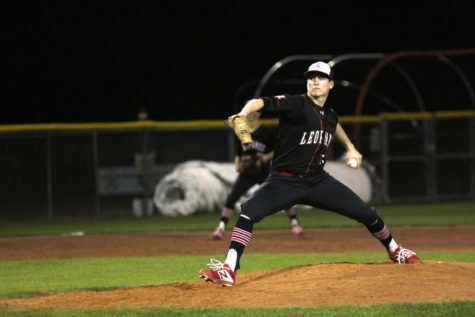 The Leopards secured the victory with six runs in the first inning of the Wylie East game. 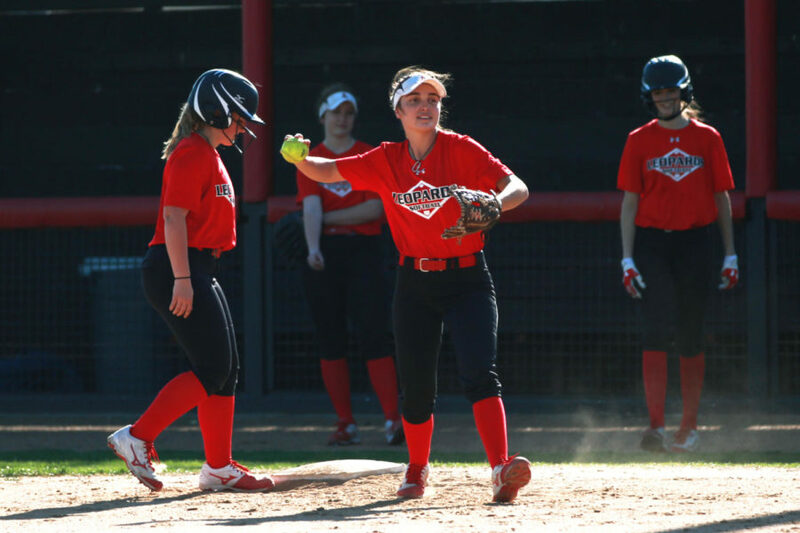 Junior Mackenzie Mitchell, senior Delaney DiCristofaro, and sophomore Madeline Robinson all produced 2 runs each, with four other players each scoring one. 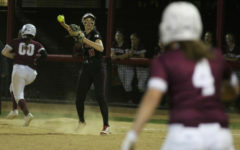 Sophomore Sydney Provence denied the Raiders a single run, allowing only two hits, one walk and zero runs while averaging just 11 pitches per inning.